I'm not the only one doing guides, or chopping down the mystery of the forest, there seem to be dozens now - for cycling, walking and bouldering. A point-in-case is the new Fun Bloc by Jingo Wobbly, the methodology being to squeeze as much out of the forest as possible in 320 pages and coming close to being the definitive 'tick-it-all' guide (but missing the point of the whole affair?). Then there is the cool, remote, and minimalist approach (my favourite) of Bart van Raaj's 7+8 and 5+6 guides, beautifully crafted works which allow you to discover the forest more intuitively and leave you to do what bouldering is all about - working it out for yourself (though the maps do a super job of getting you in position in the first place). The classic Montchausse guide is now in a clean new edition, and the Off-Piste guide is still useful, though the recent development of new sectors makes it a little out of date. The Versante Sud guides are a mess and less said the better, and I haven't seen the big German guide yet, does it come with a free VW camper? Anyway, it's unlikely I'll be rushing to do a new edition of EF (Essential Fontainebleau) as there's enough out there and I think the forest could do with a break from foreigners 'milking it', as is the perception of many locals. Though EF was designed to be a short 'ethical' guide to appreciating the forest for Brits - and how to enjoy it responsibly, like a wee dram, rather than binging stupidly on the blocs as though it's a supermarket-sweep of grades and benchmarks to be navigated like Ikea - it still pointed a fat go-to finger at a delicate area. 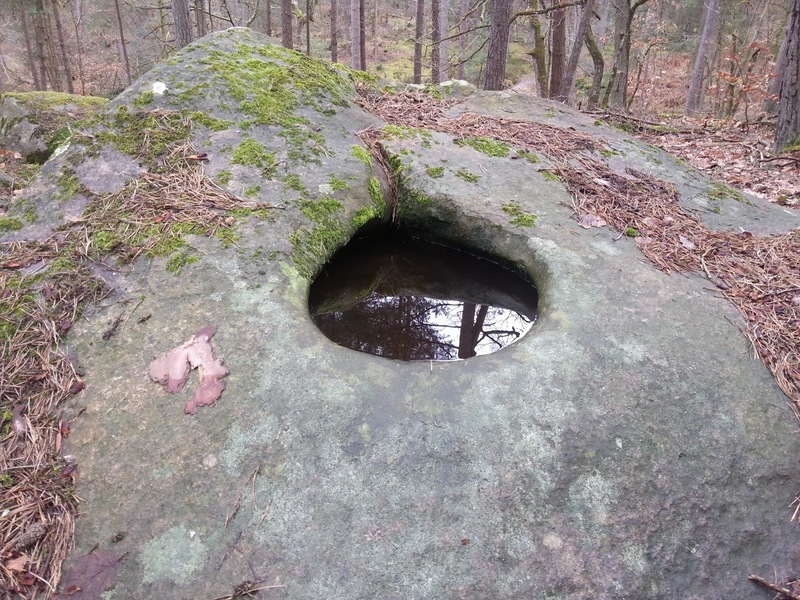 If any guide needs produced, it's one with a stronger sense of the history and quietude of the forest. Chuntering hordes of gym-monkey youths on uni-club trips are an unfortunate side-effect of our bouldering culture, its commodification swamping the forest in a noise of social-media twittering and Hulk howls. Well, rant over, as it's not that bad and it's a big forest. It's still easy to find solitude and get away from it all. The English/US mentality of 'developing' a problem or sector might be the wrongly-chosen word for what the French call 'opening' a problem or area. I prefer 'opening' ('ouvrir'), as it also suggests we move on and the forest closes around again, which is the natural way of it all I hope. Thank you for this nice article and analysis of stanger's topos. I will try to share it with the French readers of my website dedicated to safeguard the Pays de Fontainebleau and elsewhere. Thank you also for the strength of your commitment. Fantastic blog! I've been enjoying looking at all the different locations! I don't suppose you would consider sharing this over at Glipho? We are a new social blogging site with an active community of creative bloggers- I'm sure many of them would love to read your work here! If you like, come visit us at http://glipho.com and see what you think. You can import your old posts over to Glipho very easily, so it's no hassle! Thanks for your time, and I'm looking forward to the next update! 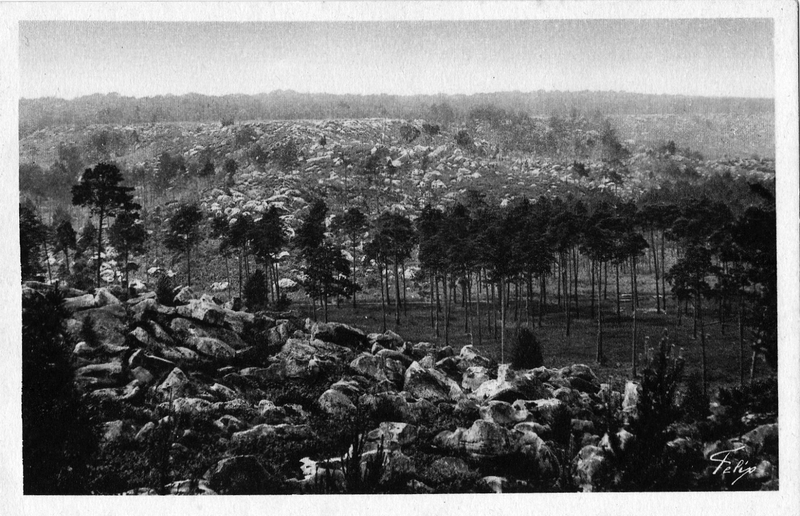 Ever since we did the Essential Fontainebleau guide, I have been overcome with a sense of dread that doing guides for this forest is putting far too much pressure on it, a bit like the woodcutters of the 19th century who paradoxically.